One of the primary reasons I have never been able to sell my ideas or build business support is that I've never put together a "cookie-cutter" type program design that companies could use to build and sustain a strategy that helps kids from high poverty areas move through school and into jobs and adult responsibilities. Instead, I've built a library of information and ideas and encouraged people to spend time reading, reflecting and building a long-term commitment to the types of work needed to be done over many years. Unfortunately, that's not what many social problem solvers and CSR leaders are looking for. They want quick fixes and short term proof of results. I read an article yesterday that points to this problem and talked about how difficult it is to scale ideas that work in one place, or in a laboratory environment, to many other places. I hope you'll take time to read it then read more of what I write below and in other articles on this blog. This graphic shows three concepts that I've focused on for a long time. 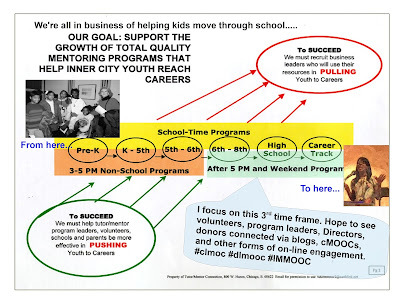 At the far right is a "mentoring kids to careers" graphic that shows the 12 years of support needed to help a youth in a high poverty neighborhood move through school and into jobs and careers. 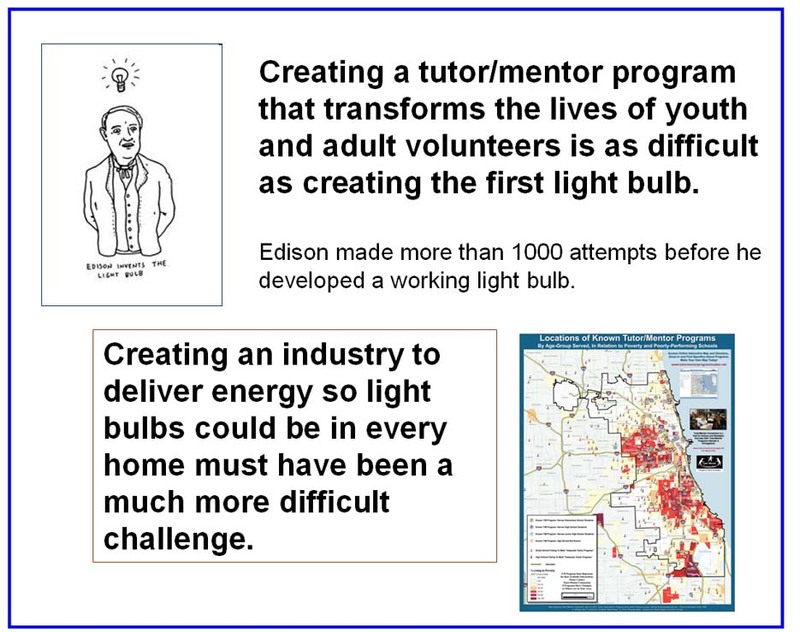 In the middle is a graphic where I used the Thomas Edison process of inventing a light bulb, then an industry that made electricity available throughout the world. Raising kids is not a science. Every kid is different. The family and community environment is different for each youth, and often constantly changing. 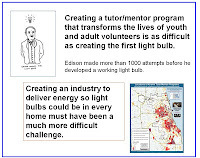 Building tutor/mentor programs that help connect extra adults and youth, has some of the same challenges. 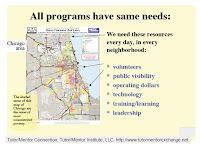 Great programs are needed in all high poverty neighborhood, posing a huge challenge for funders and city planners. At the right is a systems thinking approach to problem solving, which I've borrowed from articles by Gene Bellinger. This process focuses on learning everything we can about a problem and possible solutions before we design our own program. It focuses on this process as a cycle that repeats each year, building on what we learned from our own experiences, and what we keep learning from others. My web library is intended to support this process. 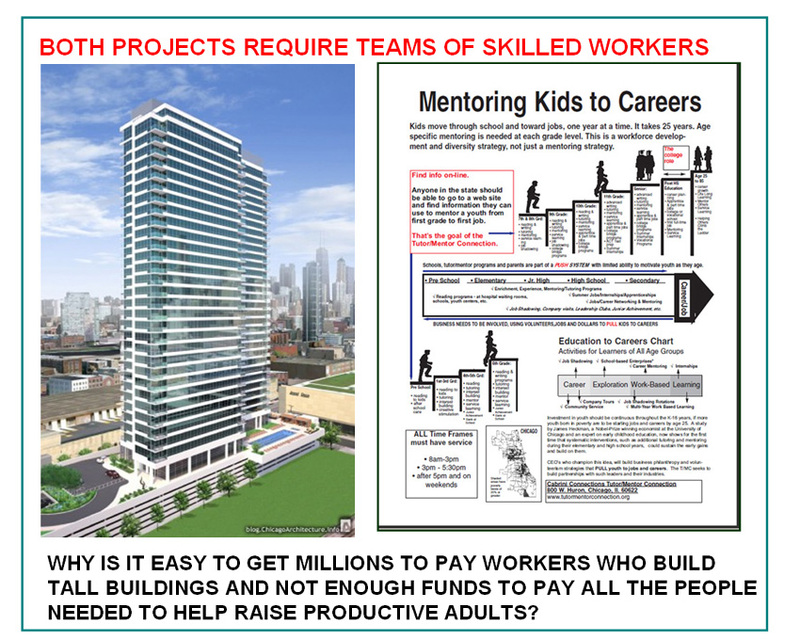 Here's another visualization of my "mentoring kids to careers" graphic, In this case I compare raising a child to building a sky-scraper. In one case builders use extensive, complex blueprints to show work that needs to be done from the first step to the last step. Everyone doing the work needs specific skills and needs to be paid. 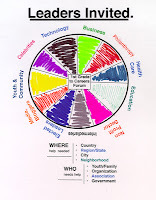 While my graphics show a vision for helping kids grow up, and s how some age-level actions that might support this journey, parents, teachers and youth program leaders need the flexibility to innovate and adopt their efforts to the specific needs of individual children at different stages on this journey. there is no blueprint for raising kids, and the funding for paying everyone needed in this process is almost non-existent. As you read the article that I pointed to above (here's the link again), think of how much flexibility is needed by those raising kids as they follow the "blueprints" and examples of others. 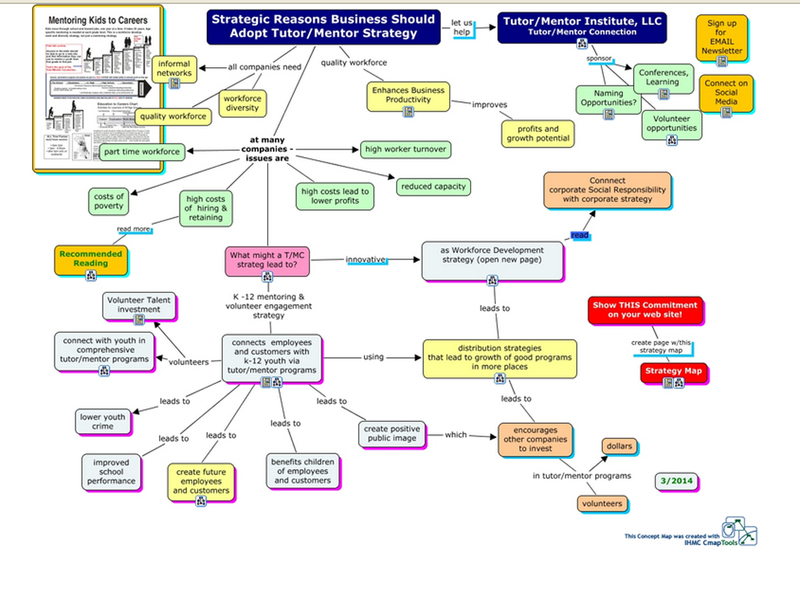 I met with the leader of a business association foundation yesterday and shared some of my thinking. I pointed to this page on the Tutor/Mentor Institute, LLC site, showing leadership strategies that need to be adopted in every industry, in universities and in hospitals across the country. I encouraged him to appoint a "get it done" person to work with me, and do the reading, research and thinking, so that his group could build this strategy and set an example for other industries. That invitation is open to leaders in every industry. Here's my Linkedin page and my Twitter feed. Connect with me. If you value what I'm writing about and the library of ideas I host, then visit this page and become a contributor to help me do this work. update 2/1/2018 - In the links section on the left side of this blog I point to many of my web sites and also point to a few sites hosted by others that I value. One is titled "From Poverty to Power". Here's an article that is related to the link I pointed to in the above article. The annual #NationalMentoringMonth focus on mentoring is now ending. However, the long-term work of building strong volunteer-based tutor, mentor and learning programs that help economically disadvantaged youth move through school and into adult roles, responsibilities and jobs, is continuing. "How can we do this better?" has been the focus of my work since I started leading a tutoring program in Chicago in 1975, and of the Tutor/Mentor Connection, which I formed in 1993. To get better we need to find time to look at what others are doing, look at the research, and look at ideas people share that you can use to improve your own skills, and the youth support strategies you lead. 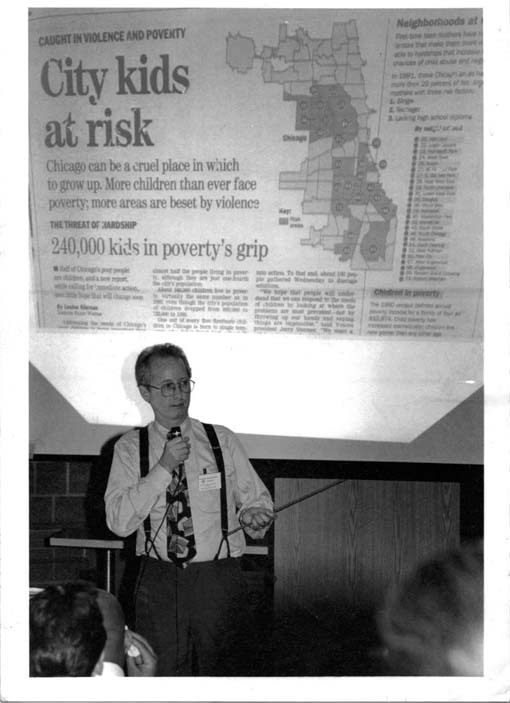 When I created the T/MC in 1993 the goal was to help all programs in the Chicago region get more consistent attention, which would lead to a better flow of volunteers and operating dollars to each program in the city. Better funding would enable programs to keep talented people and give those people time to spend learning ways to be better at helping kids and volunteers connect, and helping those connections lead kids through school. Below is a 1994 article focusing on the public awareness part of this strategy. I keep focusing on the flow of resources and the talent needed to build and sustain long-term programs. In many of my articles and all of my web sites and blogs I point to this list of Chicago programs and this concept map showing other Chicago-based intermediaries focusing on well-being of youth. 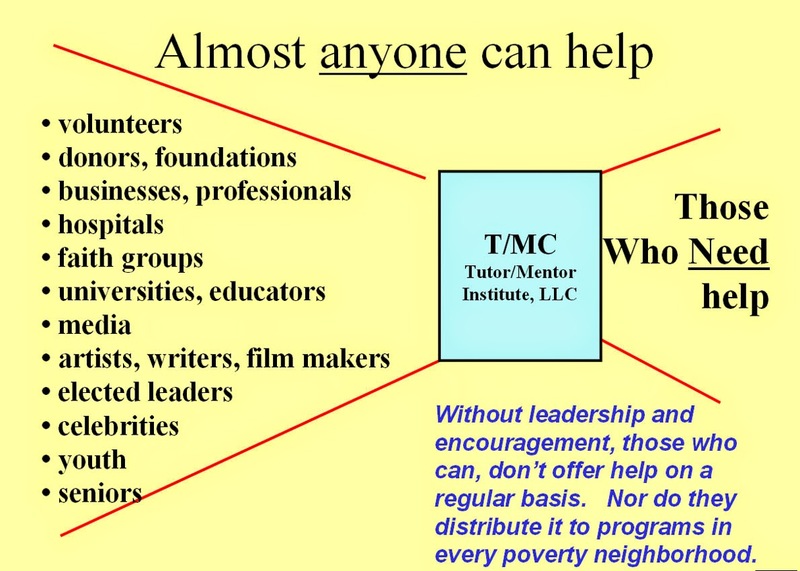 In 1993 I was also starting a new non profit tutor/mentor program to serve teens in Cabrini-Green in, yet the T/MC has always encouraged donors and volunteers to shop our list of programs and find one or more to support. While this helped us attract support for our own program, it was also intended to help others. I don't find many intermediaries or individual programs who consistently do the same, which means we're all still competing with each other for a shrinking pool of resources. I've written this blog since 2005. I don't find many who have written the same type of articles for so long, or who have been building and sharing a web library since the late 1990s. And that means, for many, it's difficult to constantly improve. Form some, it's difficult to survive. If you value what I've been doing, send a contribution to help me continue in 2018. 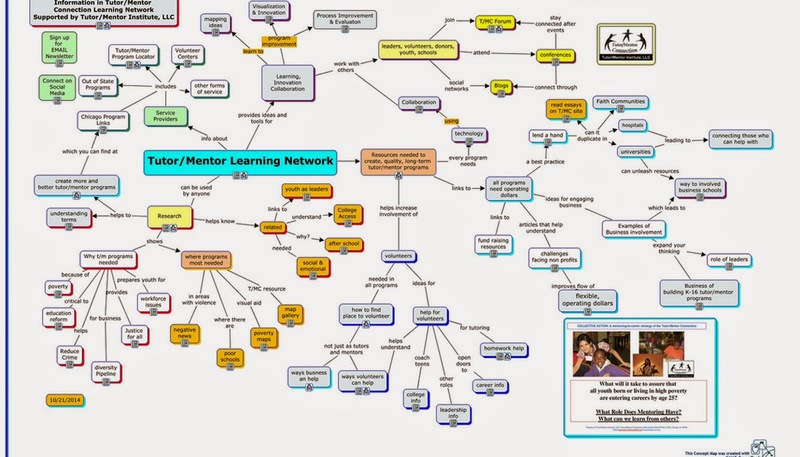 I've been creating concept maps since 2005, which I share in articles on this blog, and on this page on the Tutor/Mentor Institute, LLC web site. I'm using a free cMap tool which is great, but it does not have a tracking systems so I don't know how many people are actually looking at these. Since I've not been operating as a non -profit since 2011 (long story) I've not had any significant source of revenue to help me keep my web library on line and continue generating and sharing ideas via these maps, monthly email newsletter and my blog articles. So I created this Giphy animation today and I'm going to put it on some of my maps, with a link to a page where people who value what I'm doing can use PayPal or snail mail to send me a few dollars to help me keep doing it. A few dollars a month from a lot of people can really make a difference. However, sharing my articles with others via social media can also make a big difference. 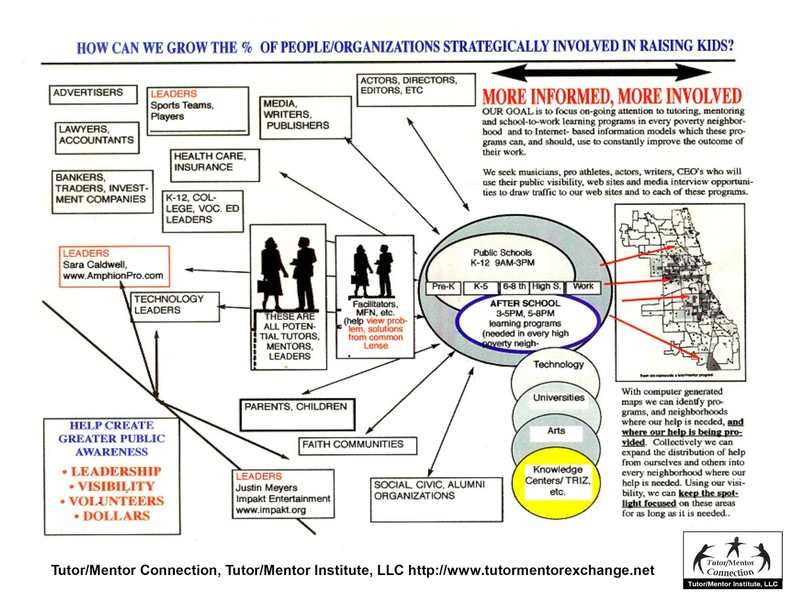 Maybe someone at Davos2018 will see your post and decide to invest in re-building the Tutor/Mentor Connection (which I've kept going since 2011 via Tutor/Mentor Institute, LLC). What do I mean? 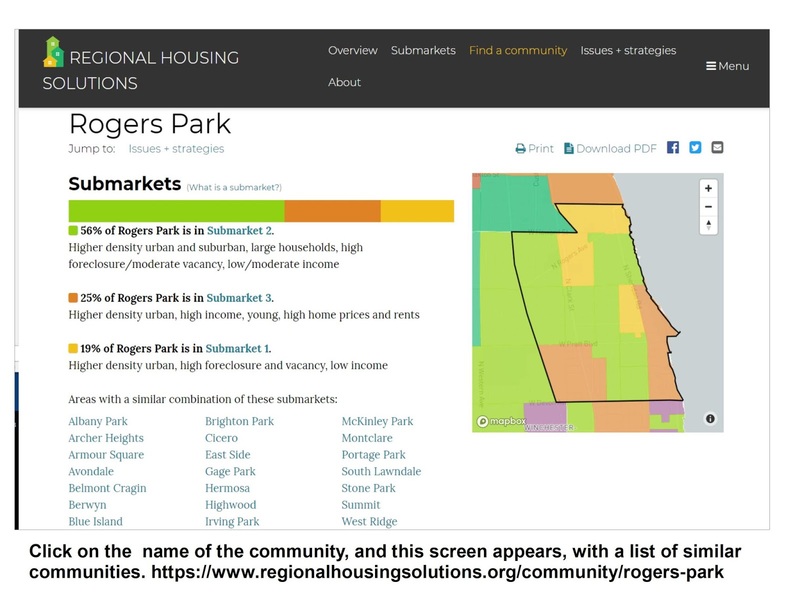 I included this graphic showing a Regional Housing Solutions dashboard in an article I posted this morning on the MappingforJustice blog. 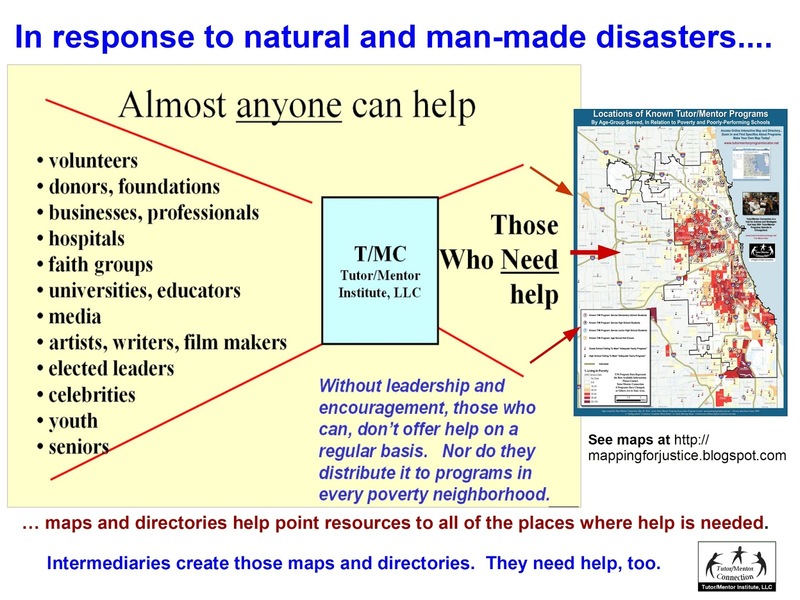 I've been trying for 24 years to build a map-based platform that would support decisions people make in how they help high-poverty neighborhoods have a wide range of non-school, volunteer-based tutor, mentor and learning programs. I've not ever been able to find consistent on-going, year-to-year investment to do this any where near as well as I've wanted to. Please read the article. Then, read this article, which I wrote last spring. 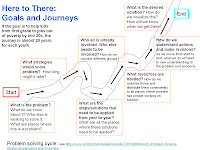 It describes a "do over" where new leaders and investors, perhaps based at a university, use all the ideas and resources and experiences that I've aggregated since the 1970s and build a new Tutor/Mentor Connection that they can lead for the next 20 years. There are many in the top 10% of wealthy in the world who could easily take this role. They just don't know I exist. So until then, maybe a small contribution will help me keep going. I've been writing this blog as part of a strategy launched in 1993 to help kids living in high poverty areas have access to well-organized, volunteer-based tutor/mentor programs that operate in the non-school hours. The articles are intended for program leaders, volunteers, policy makers, resource providers, business, volunteers and virtually anyone who is concerned about poverty, inequality, workforce development and/or democracy. 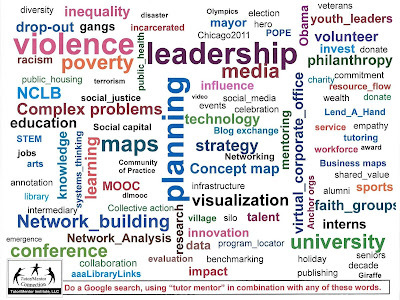 search on Google for "tutor mentor" and any of these words. 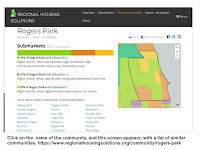 This graphic shows the tags on the left side of this blog, with the larger size type representing more articles with that tag. This was created in 2016 so there are a few more categories in the tag list now, but if you browse the list you'll find them. Just open any of the tags, then scroll through the articles. As a short cut to help you find a few articles that provide a broad overview of what I'm writing about, visit this Tumblr site, where I've archived about a dozen articles pulled from this blog. I don't expect anyone to read every article in a day, or a year. However, if you follow current articles and browse past articles from time-to-time you'll begin to understand the ideas I'm sharing and hopefully, you'll want to share them via your own blog, meetings, social media, etc. If you value this work please visit this page and use the PayPal button to send me some financial support. I've been listening to the live-stream of the KennedyForum today and yesterday I viewed a lot of Tweets and FB post related to Dr. Martin Luther King, Jr. In this morning's KennedyForum session the moderator asked "What's next? What's the follow up?" I hope you'll take time to view and think about the steps I feel need to be followed to create the world we want for our children and grandchildren, and for children growing up throughout the world. First create a concept map, or blueprint, showing work needed to be done that leads to the problem you focus on being solved in many places. 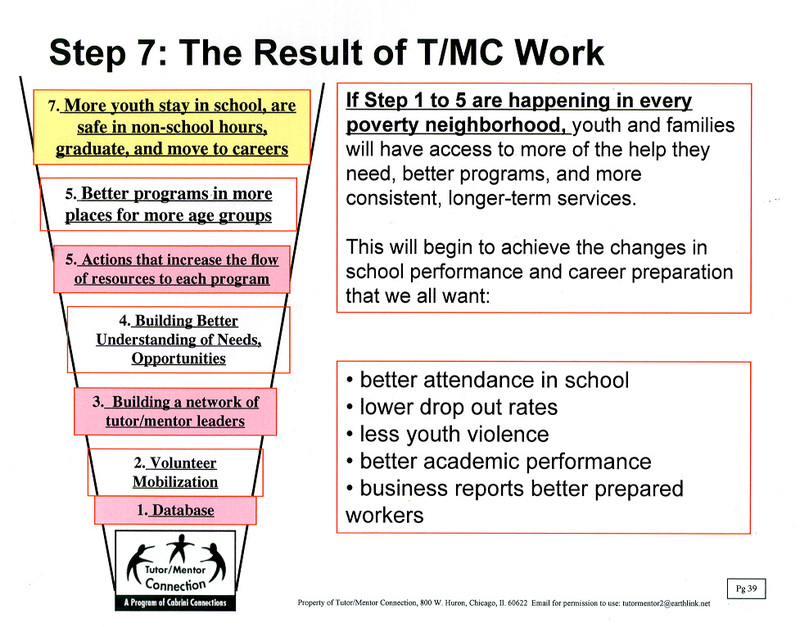 In my case, I focus on helping kids from birth to work, so the cmap below shows supports kids need at every stage. You can start creating these blueprints with a blank sheet of paper. 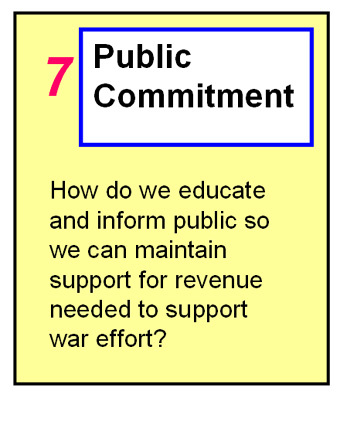 As you think of more that needs to be done, add it to your graphic. 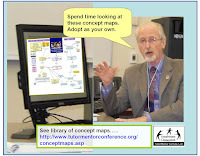 At some point you might want to use a concept mapping tool, like cMapTools, or Kumu, to share your ideas via the Internet. Next build a database showing organizations in your community who are already involved in doing this work. 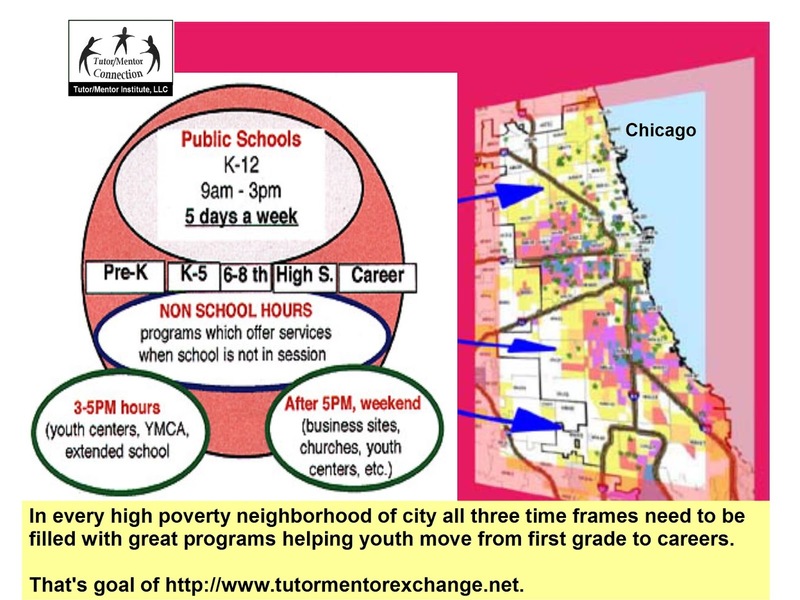 I've been building a database of Chicago non-school, volunteer-based tutor/mentor programs since 1993 and plot this on maps showing where programs are located and where they are most needed, based on indicators like high poverty, health disparities, poorly performing schools, etc. 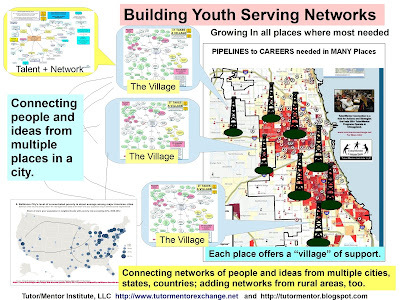 I've also been building a concept map showing others who focus on helping youth in Chicago. 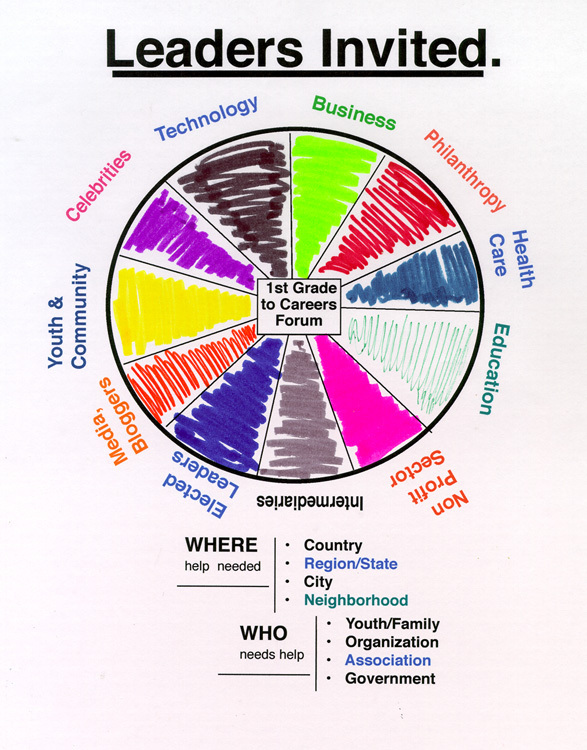 All of these organizations need to be talking and exchanging ideas with each other, on an on-going basis. 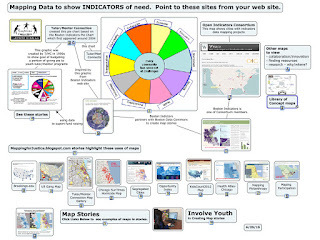 Create maps showing related issues. While I focus on building youth serving programs I realize that there are many other issues that contribute to poverty and represent challenges to youth and families. 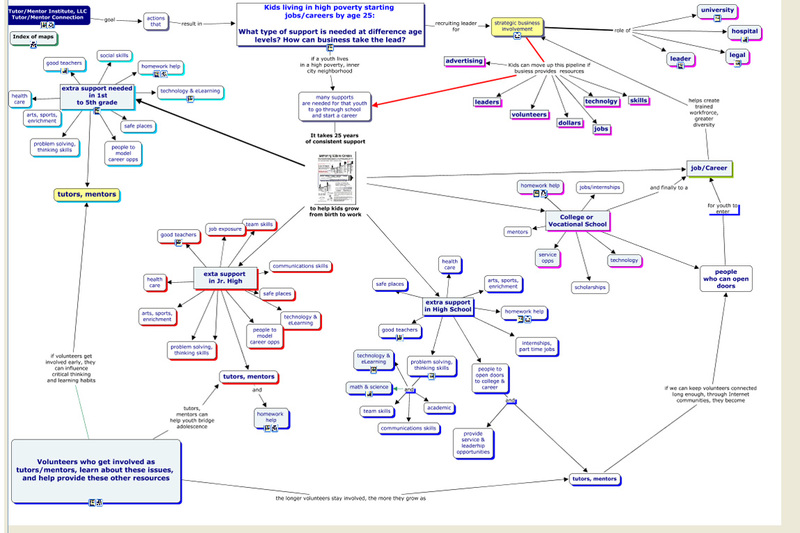 That's what the concept map at the right intends to show. 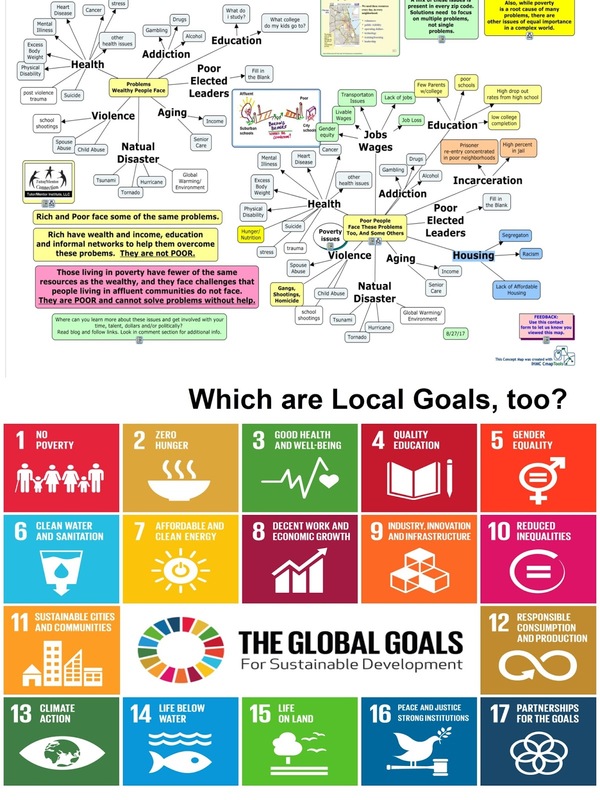 I combined this map with a graphic showing the United Nations' Global Development Goals. You can see it in this article. This illustrates that the problems we focus on in Chicago are problems to people in many parts of the world. Our source of solutions, support and resources can come from anywhere. There is a universe of information available about these issues and the organizations working to try to solve some of them. It's on the Internet. It's in local public libraries. It's in book stores. One of our challenges is motivating people to find time on an on-going basis to read this information and then discuss it with others. I wrote about this last week. Then we need to find ways to draw volunteers, operating dollars, ideas and other needed resources on an on-going basis to every program and organization in our database. That means we need to help the great programs seving people in some places get the resources to stay great. We also need to help less well organizations in different places get the resources and ideas they need to become great. Every neighborhood needs a full range of great programs just like contractor and worker involved in a building project needs to have the right skills and be paid to do their work. It's when we have great programs in more places that we begin to see stories showing how kids who have been part of these programs are now adults with jobs, raising their own kids, and hopefully, helping others overcome the problems they face. This takes time. 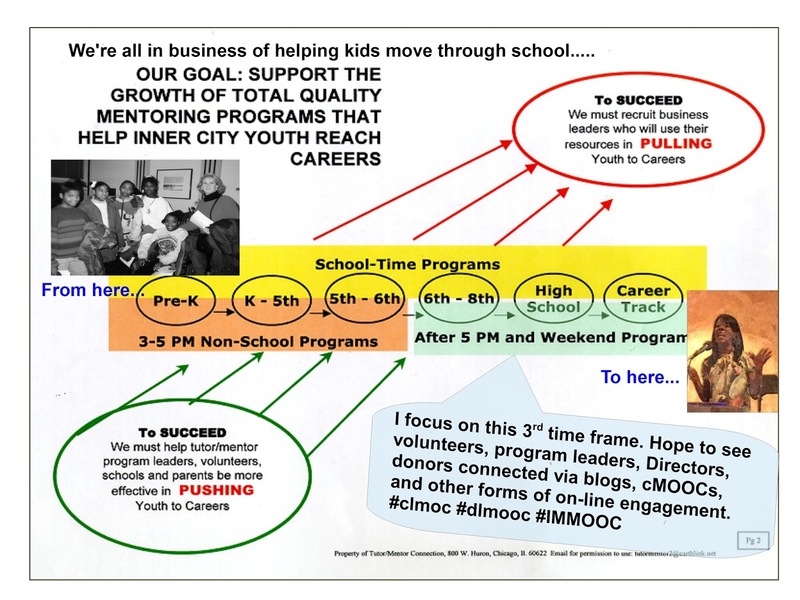 It takes many years for an organization to become great at what it does and it takes up to 20 years to help a youth move through school and into a first jobs. For some it take even longer. It starts with gathering information showing where the problem is most concentrated and what work people are already doing in different places to try to solve the problem. 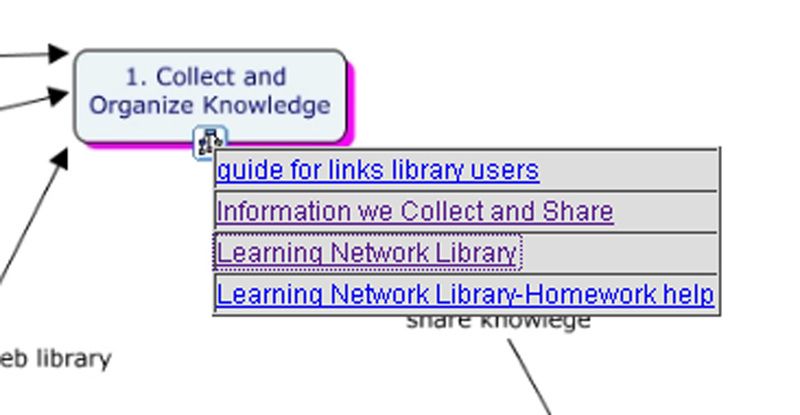 The cMap below shows how I share some of what I've put in my web library. For every issue that contributes to poverty, inequality, social injustice, etc someone needs to be aggregating information, showing what they do, and what others do, then be sharing that the way I've been trying to do, so others don't need to spend time searching for ideas, but can spend that time reading, reflecting and connecting with others, with the goal of putting good ideas to work in more places. The most difficult step in doing this work is pointing people in your network to others doing similar work. 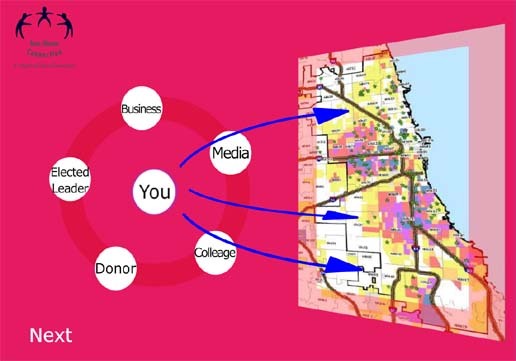 That includes pointing donors in your network to others who need the same help you do. So far, very few take this role. If you're one of those doing this work, share your link in the comment box and let's connect. Let's at least follow each other on social media and "like" and "re-Tweet" posts we each share. That's a first step of helping each other. I've been writing this blog since 2005, so there are a lot of articles focusing on this work. Take some time to read them. Share them. Re-write them. Or reach out and help me do it better. Over the next few days the Dr. Martin Luther King, Jr. holiday will be celebrated with marches, breakfast speeches, and thousands of service projects. All good. However, I want to encourage people to spend two to three hours reading and reflecting. 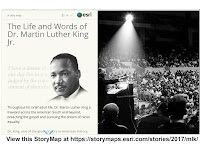 Start by looking at this ESRI story map showing the "Life and Words of Dr. Martin Luther King, Jr.". While we've made much progress since the 1960s, there is still a huge mountain to climb to reach a point where "all children will not be judged by the color of their skin, but by their character." Why is this important? Here's an article I saw a few years ago, titled, 'Want To Be A Leader? ‘Learn To Be Alone With Your Thoughts’ in which says William Deresiewicz, "Speaking to a plebe class at West Point, said that without solitude, it’s hard to arrive at thoughts that are your own, and hard to develop the moral compass and moral courage necessary to act on those thoughts." In another article, I read about how it takes 10,000 hours of practice to become an expert in any field. This article outlines Chapter 2 in the book "Outliers", by Malcolm Gladwell,which "puts forth the premise that to be an expert in your field requires a devotion to one’s craft for at least 10,000 hours." I've spent more than 10,000 hours since 1975 leading a tutor/mentor program and much of that time has been spent in solitude, learning and reflection. That's where the ideas I share in the Tutor/Mentor Institute, LLC come from. 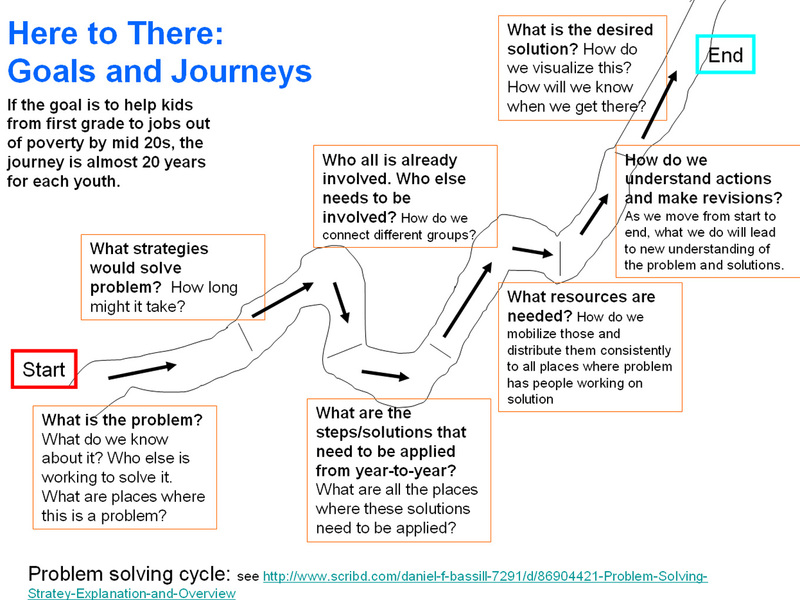 I use graphics like this one to illustrate how creating programs and services that consistently help kids overcome poverty and rise through school and into jobs and careers is a process of learning and constant experimentation. It's one that requires constant investments of talent and time, which means a constant flow of dollars. I include a map showing poverty areas in Chicago as a reminder that resources and support needs to reach k-12 youth and families in every high poverty area, not just through a few well-known programs. As I come across great thinking I point to it in articles like this, and archive links in the Tutor/Mentor Connection library so others can find and learn from the same ideas I'm learning from. 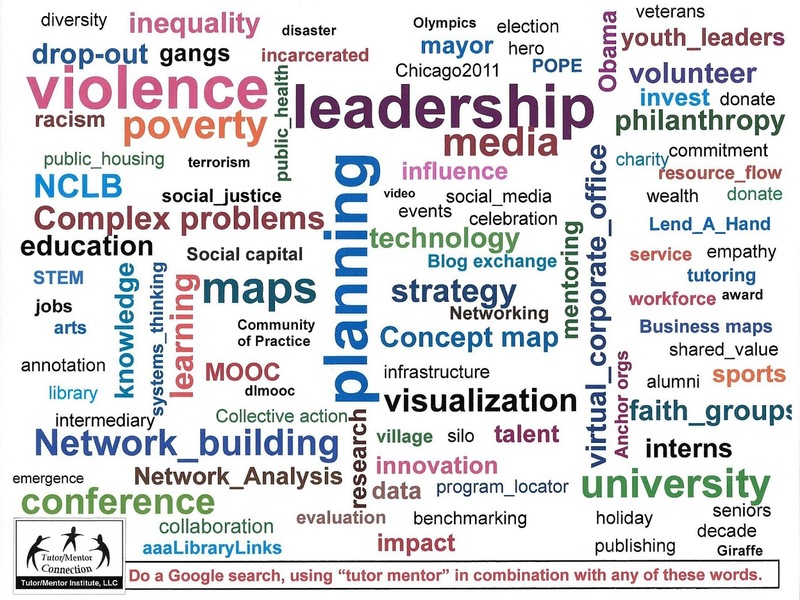 Most of what I'm thinking about relates to influencing the flow of resources to non-school tutor/mentor programs in high poverty neighborhoods. Most of these ideas can be adopted to the same problem in other social sectors. If we can influence the flow of resources and keep talent in programs longer, we increase the organizational knowledge and the ability of each organization to constantly improve their impact on kids and the volunteers who become part of these programs. 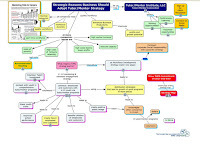 I use concept maps to show sections of my web library and to visualize long-term strategies that need to be adopted in every city, and by leaders of every sector. Here's a map that business should visit, showing reasons to invest in helping mentor-rich programs grow in cities where they do business or where employees live. 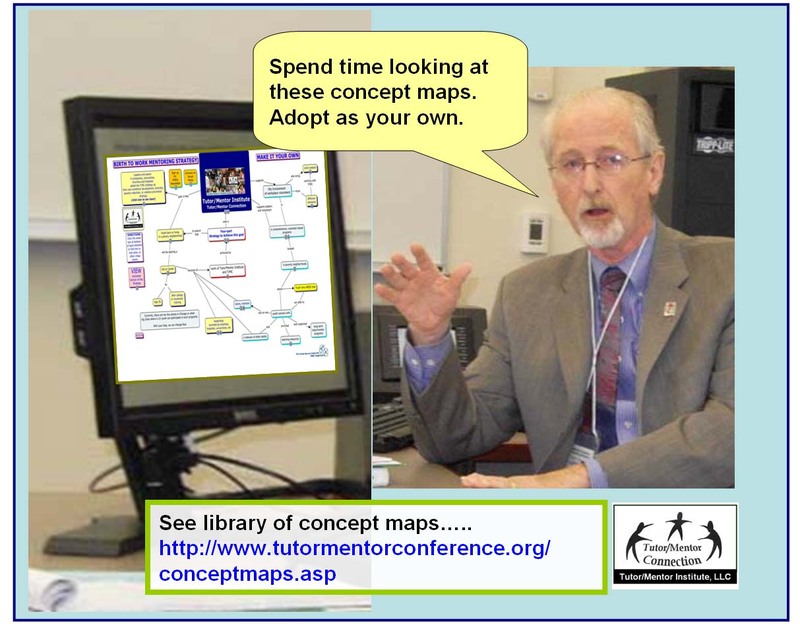 See my complete set of concept maps here. Thus, while you honor the memory of Dr. King, Jr., spend time learning where and how you can help make his vision come true. Make this a weekly, year-round habit, not a once-a-year day of service. I'm sure others are spending their own time thinking about this and may have their own master plans and strategies. 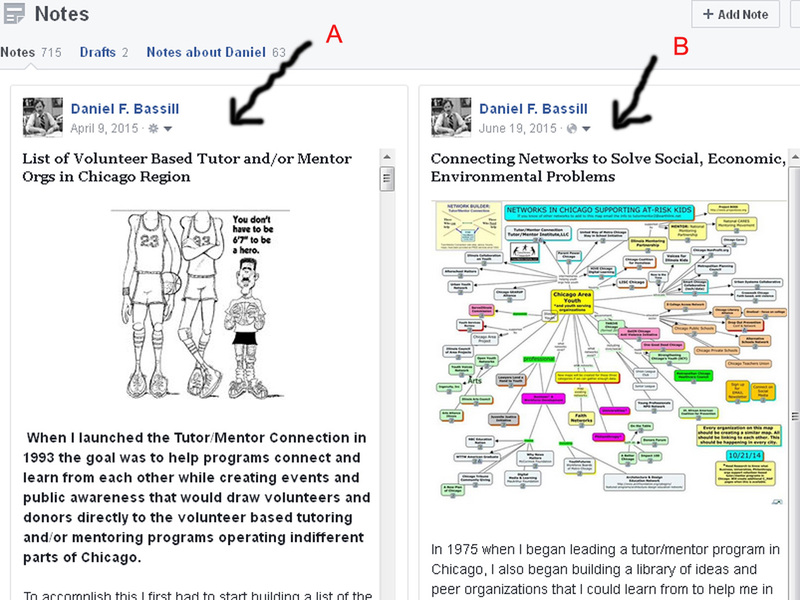 I hope we can connect on Facebook, Linked In, Twitter or the Tutor/Mentor Connection forum. 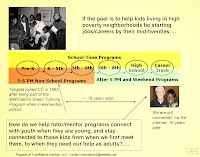 When I and six other volunteers created a new direct service tutor/mentor program serving teens in Cabrini-Green in 1993, we also created the Tutor/Mentor Connection. Our goal was to gather and share information that people could use to help mentor-rich programs (like our own) grow in every high poverty area of Chicago. 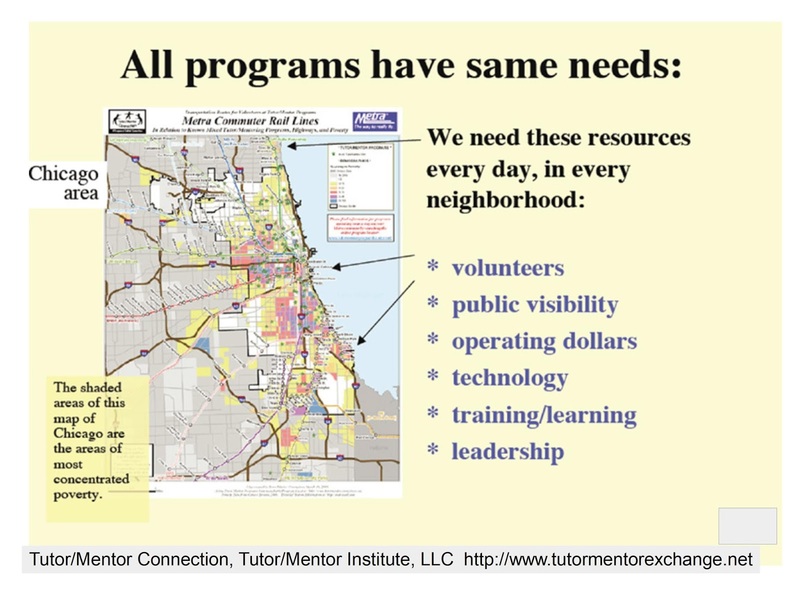 We launched a four-part strategy in January 1994 with a survey to locate other tutor/mentor programs in Chicago and build a master data-base, which I still update on an on-going basis. This was the heart of what has become a huge web library 24 years later. 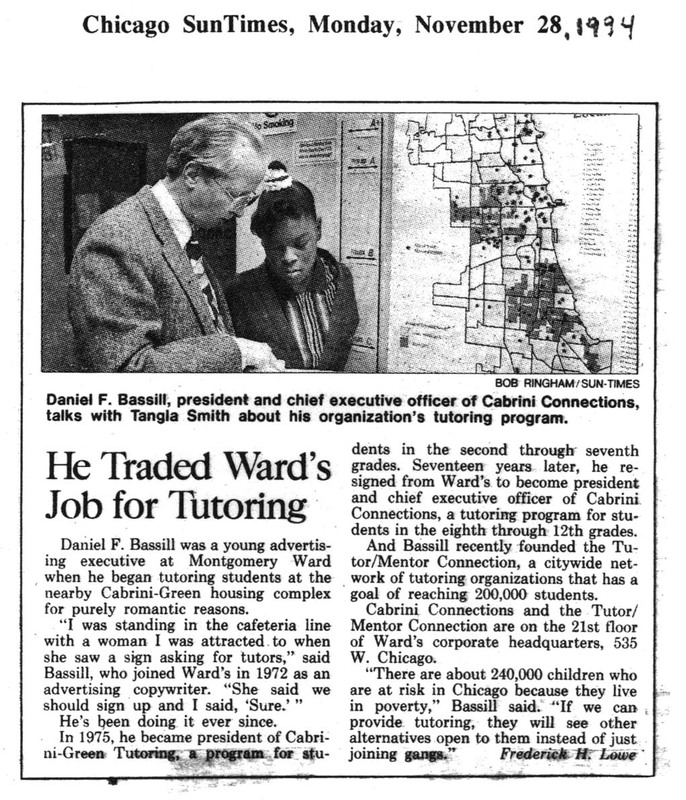 Having led a volunteer based tutor/mentor program since 1975 I knew how much work program leaders had to do to attract and retain volunteers. Having started a non-profit in 1990, I was learning how hard it was to attract and retain donations and operating dollars. However, from 1973 to 1990 I held retail advertising jobs in the corporate headquarters of Montgomery Ward. I knew what people on different functional teams were doing to help all 400 of our stores get the resources and talent each needed to be great (and profitable). 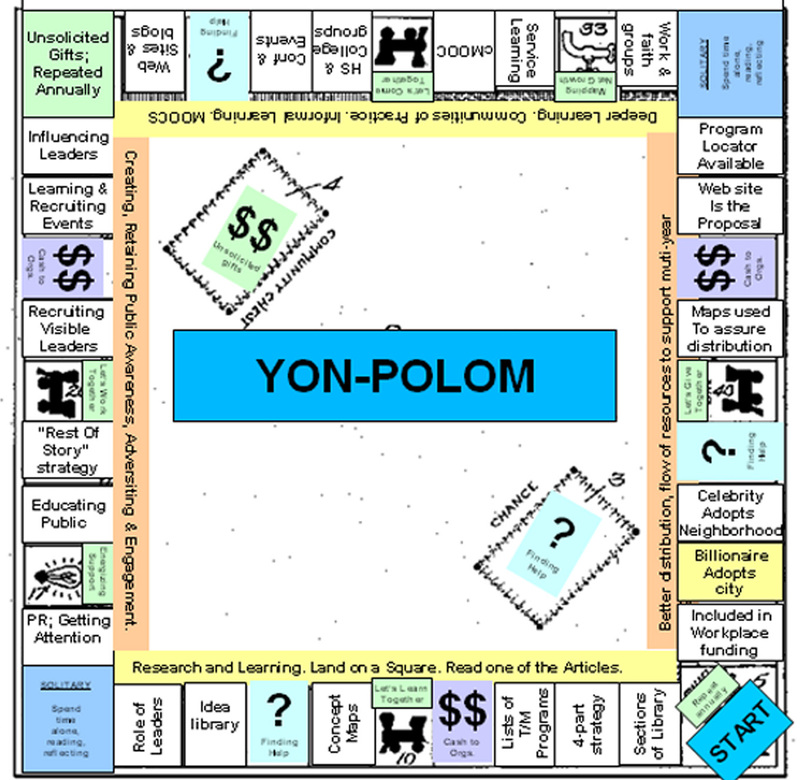 Thus, while step 1 of the 4-part strategy was focused on collecting and organizing information, step two was focused on generating more frequent media stories intended to draw attention to all of the tutor/mentor programs in our data base, and to motivate people from throughout the region to adopt programs and support them on an on-going basis with time, talent and dollars. In 1998 we began putting our library and stories on web sites and as we struggled from 2000 through 2010 to find funds to support our kids program and the T/MC we relied more and more on the Internet, blogs and social media to attract attention to programs, and our web library, since we had far fewer dollars and greater expenses after losing Wards in 2000 as host for our activities and our major donor. 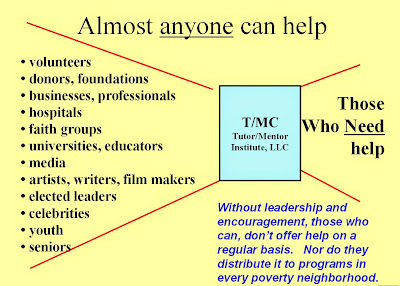 I've had even fewer resources since 2011 when I created the Tutor/Mentor Institute, LLC to keep the T/MC operating after support the strategy was dropped by the original non-profit. 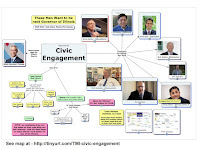 If you browse through articles on this blog, which I started in 2005, or the MappingforJustice blog, which was started in 2008, you'll see a consistent use of maps and visualizations and a consistent invitation for the T/MC strategy to be adopted and led by many leaders, in Chicago, and in other cities with similar problems. You'll find many stories where I show that students as young as middle school and as advanced at PhD programs, could be duplicating my efforts to build a web library of local youth programs and create an on-going effort to draw needed resources to all of those programs. I recognized in 1993, and continue to understand, in 2018, that unless we find ways to build and sustain public interest and involvement we'll not make much of a dent in the poverty, segregation, class and race-related issues that are the root causes of many of our problems. I also recognized that without a map we would provide millions of dollars and still be missing most of the kids needing consistent, on-going help. Since 2011 I've not not had the money to organize events and host the mapping, or have a team of people working with me on this. I've not drawn a salary. I've cut expenses to site hosting and use my time to continue to maintain the web library and list of programs and to draw people to my blogs, web library and list of youth serving organizations. I've been interviewed often over the past 20 years. 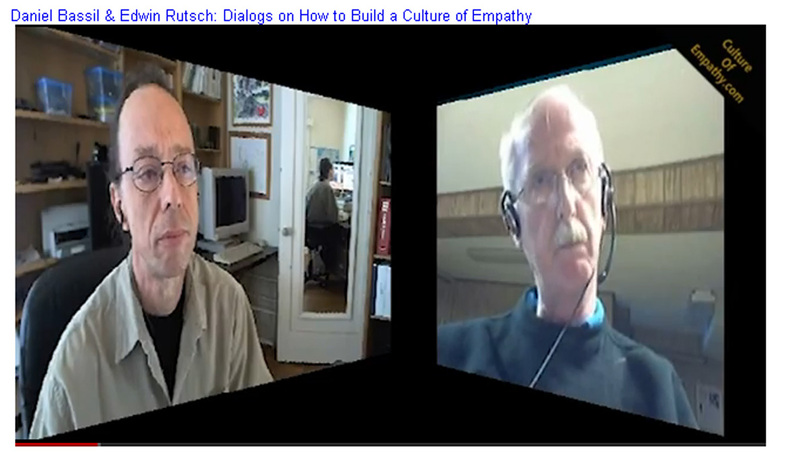 At the right is screen shot of talk about empathy, between myself and Edwin Rutsch who created the Center for Building a Culture of Empathy. At this link you can find a few other interviews. 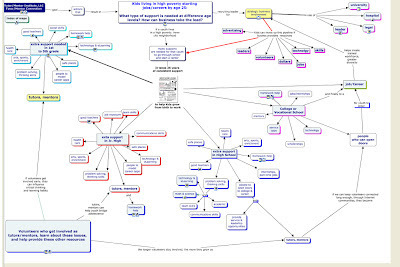 And, if you look at the links that I point to on this concept map, you'll find many others who have been helping tell the stories I'm telling. I keep looking for leaders who are thinking and acting the same way I do. They could be in Chicago, or in any other city. You'd recognize them by reading blog articles they write, looking at their web sites, and seeing what they post on social media. There are many who do part of what I do. I can't find any who apply the four-part strategy. If you think you know one, send me the link to their web site and send them the link to my blog. For 24 years I've gotten out of bed in the morning and spent the day doing whatever I could to draw attention and resources to youth serving organizations in Chicago so more kids could have the support they need. I'm still doing that, just with a lot fewer resources. You can help change that by creating your own stories, using my blog articles and visualizations as thought-starters. 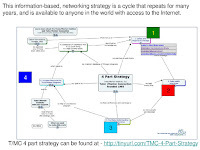 If you're in a business, university, hospital or faith group, you can form a group and adopt the T/MC strategy. If you're really ambitious you can reach out and form a partnership with me, that will lead to your ownership of these ideas and commitments over the next few years. Connect with me on one of these social media platforms. I look forward to hearing from you. I just read an article by Richard Reeves, titled "Trickle-Down Norms" which talked about the growing gap between rich and poor in America and how the practices of the affluent often influence the habits and behavior of the rest of American society. In the article he referred to Dr. Robert Putnam's "Our Kids: The American Dream in Crisis" book, which I've written about in several past articles. 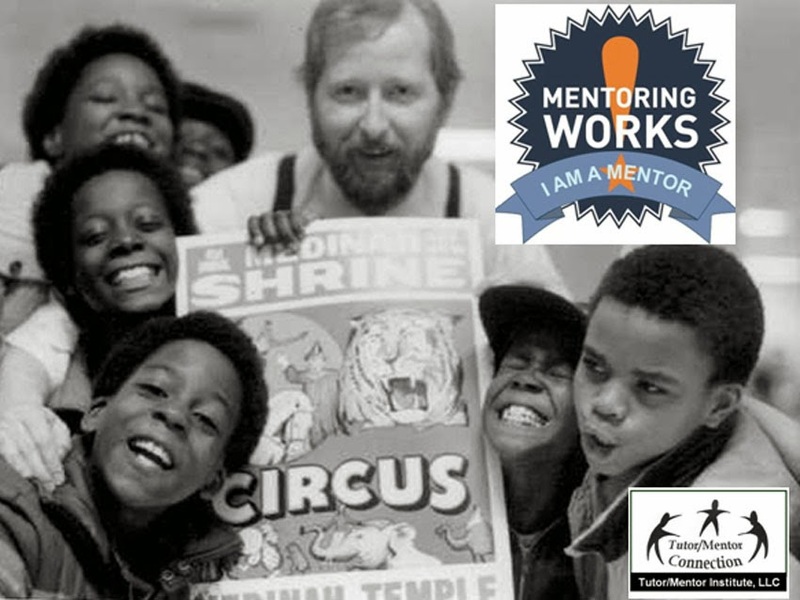 I've supported organized, on-going, volunteer-based #tutor and #mentor programs for nearly 40 years because of their potential to build connections between people who don't live in poverty and young people and families who do. As I said, I've written a series of articles that refer to Dr. Putnam's book. I'd like to highlight a few here. March 24, 2015 - Closing Opportunity Gap in America. Making All Kids "Our Kids. 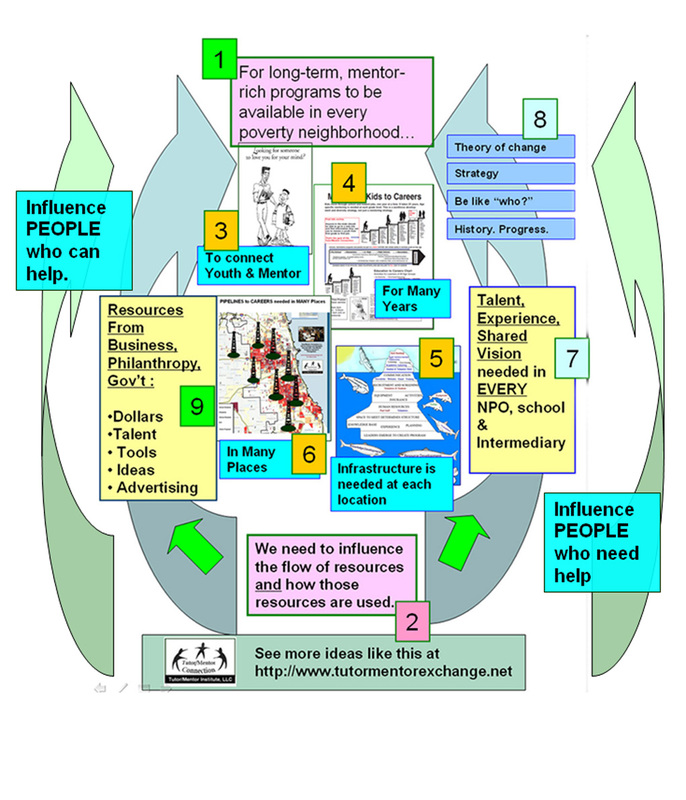 I included this graphic in the article, which I created in the mid 1990s to show a vision of a tutor/mentor program with volunteers from many different business/professional backgrounds. 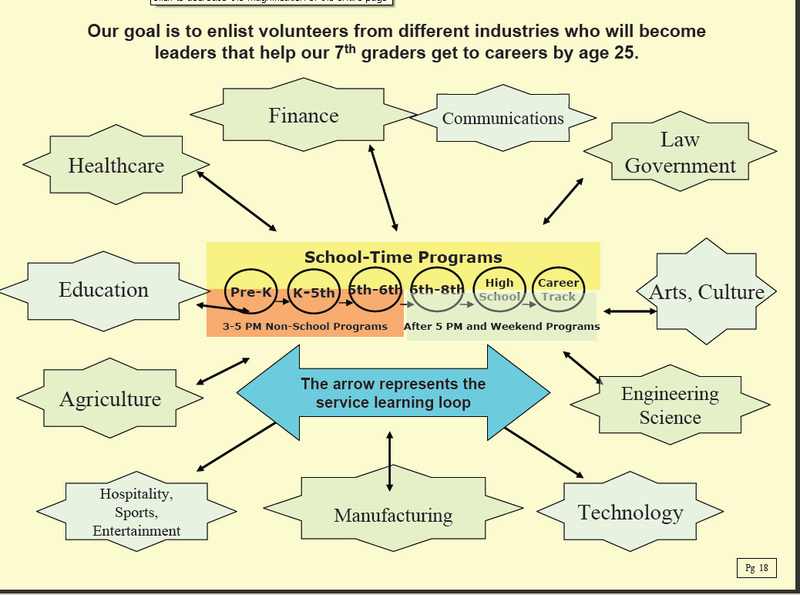 This depicts the expansion of mentors and learning experiences in the lives of kids who participate in these programs. It also shows the multi-dimensional support of programs by volunteers and donors from many different industries. It focuses on muti-year support, from first grade into jobs. 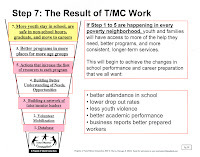 It also includes a map, showing that such programs need to reach kids in every high poverty neighborhood. Putnam and Reeves both posted several suggestions. One was "invest in well organized mentoring" programs. I'd like to see more of a road map that shows how we do this. How do we get to where we are today to a future when this opportunity gap has been significantly diminished. May 5, 2016 - Follow up to Putnam Talk in Chicago. 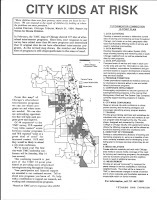 I included this map story, which was first created in 1996, to illustrate a need to use maps to show the gaps between rich and poor, to show all of the high poverty areas of the Chicago region, and to force (and guide) a distribution of needed resources and mentor-rich programs to more of those neighborhoods. 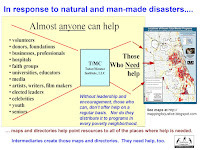 I also demonstrate using map-stories as part of an on-going effort to draw more attention and to increase the flow of volunteer and donors to individual tutor/mentor programs. 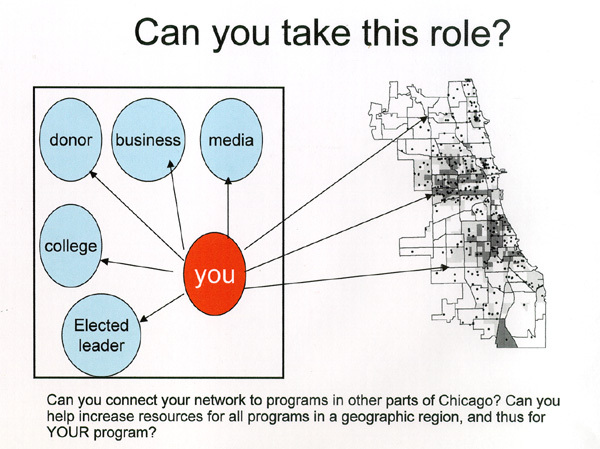 I still don't see any leaders in Chicago using maps this way . March 16, 2015 - Making All Kids "Our Kids". I've been reading books and articles like those by Putnam and Reeves for more than 25 years, along with other information that focuses on "What are ALL the things we need to know, and do, to help all kids born in poverty be starting jobs and careers by mid 20's". 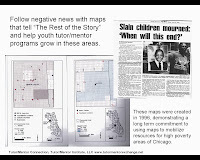 As I've found articles like "Trickle Down Norms", I started putting them in a library I was building, which was originally intended to support myself and the leaders and volunteers in the single Chicago tutor/mentor program I started leading in 1975. 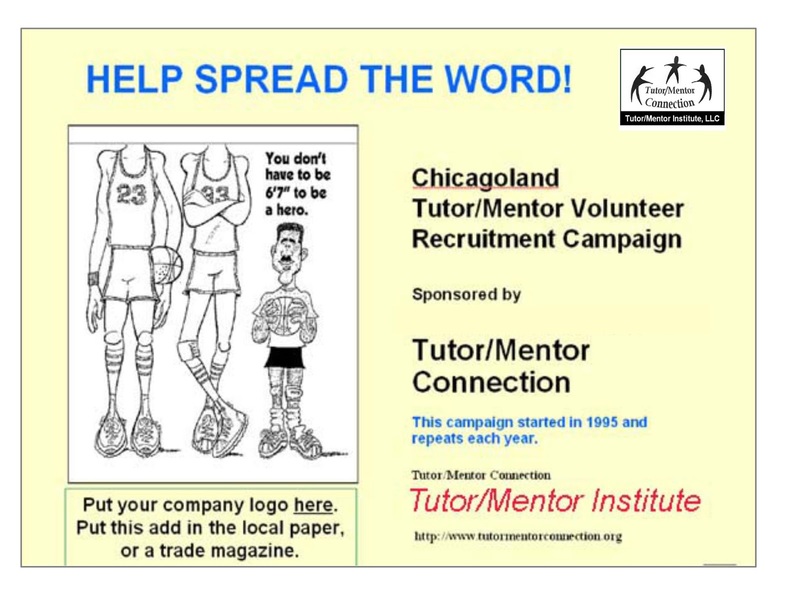 When we formally formed the Tutor/Mentor Connection in 1993 we created an intentional process for finding this information and sharing it with leaders and supporters of tutor/mentor programs throughout Chicago. When we built our first web site in 1998 we began sharing this library with the world, while also finding ideas from other cities that could be applied to building new solutions in Chicago. October 27, 2016 - Understanding and Applying Social Capital Concepts. Reeves and Putnam are writing about social capital. In my work, I focus on "bridging" social capital, or social ties that link people together with others across a cleavage that typically divides society (like race, or class, or religion). 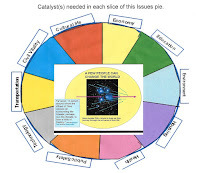 There are several more articles that refer to Putnam's book on this blog and many others that focus on learning, network building, media, leadership, etc. You can't read all of these in one day, or a week. Why not form a learning circle in your business, faith group, college or family, and read and discuss one article a week? 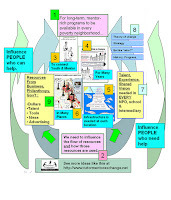 Why not connect with myself and each other on Twitter, the way the #clmooc group has been doing since 2013? 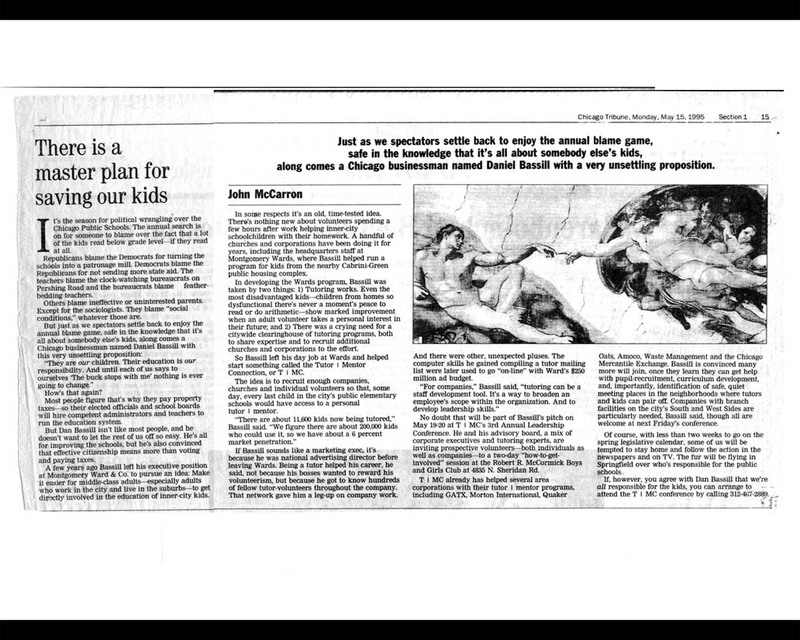 This was the front page of a 1994 Chicago Tribune. 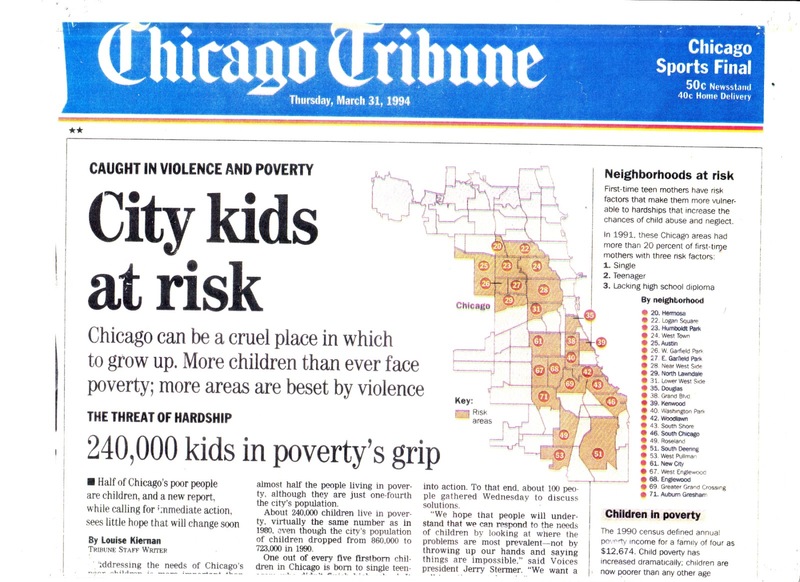 Note the use of "Kids at Risk" and a MAP and the sub head "240,000 kids in poverty's grip". I've been pointing to stories like this for many years, but following with a four part strategy that and a leadership commitment that can be used and supported by leaders in Chicago and any other city and state in the country. I've shared ideas like these, since forming the Tutor/Mentor Connection in 1993, with most of the candidates running for Governor of Illinois, and with the current and former Mayor of Chicago. 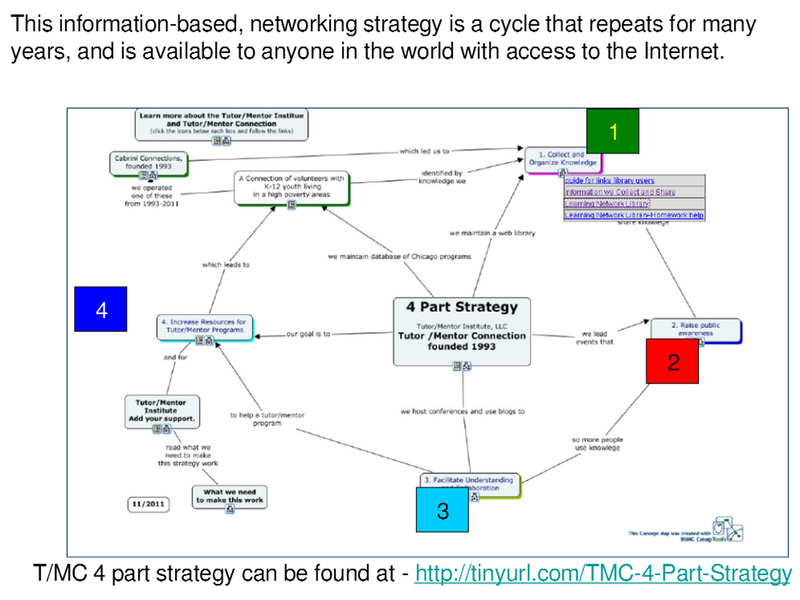 Yet, if you visit their web sites you don't see any concept maps similar to those I've shared, nor a mobilization and learning strategy similar to the four-part strategy that I've shared. You don't see their support on anything I've done. 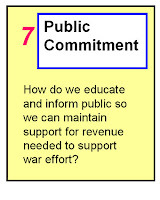 I'm not part of any of their planning committees, nor funded as a consultant to their own efforts. I wonder if they have read Putnam, or Reeves, or any of my articles. 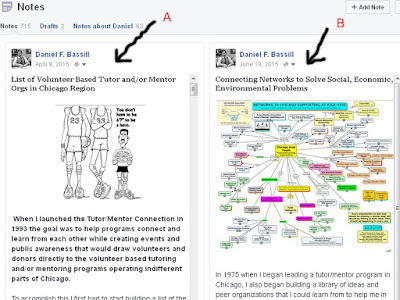 Nothing will change until more people read, reflect, share and then apply these ideas, and the many resources I've aggregated in the Tutor/Mentor Connection web library, using their own personal, and professional, time, talent, dollars and votes. 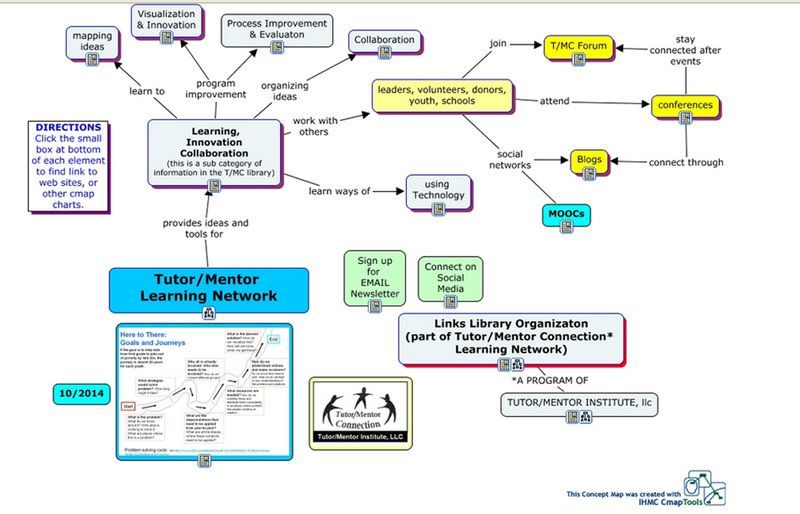 Note: Since 2011 I've kept the Tutor/Mentor Connection operating under the structure of Tutor/Mentor Institute, LLC. If you'd like to support me, click here for information. Emily is one of the talented people who gather weekly at ChiHackNight which is held in the Braintree offices at Chicago's Merchandise Mart. I've attended off and on for several years (see article) and am constantly thrilled by the talented people who introduce themselves at the start of each weekly event. My wish has been that some of them would do exactly what Emily has done and use their talent to help me upgrade the technology and share the ideas from this blog and my web sites with more people. Last summer she announced to the group that she was launching a Podcast and wanted volunteers to practice with. I offered and in preparation she took some time to look at my sites. 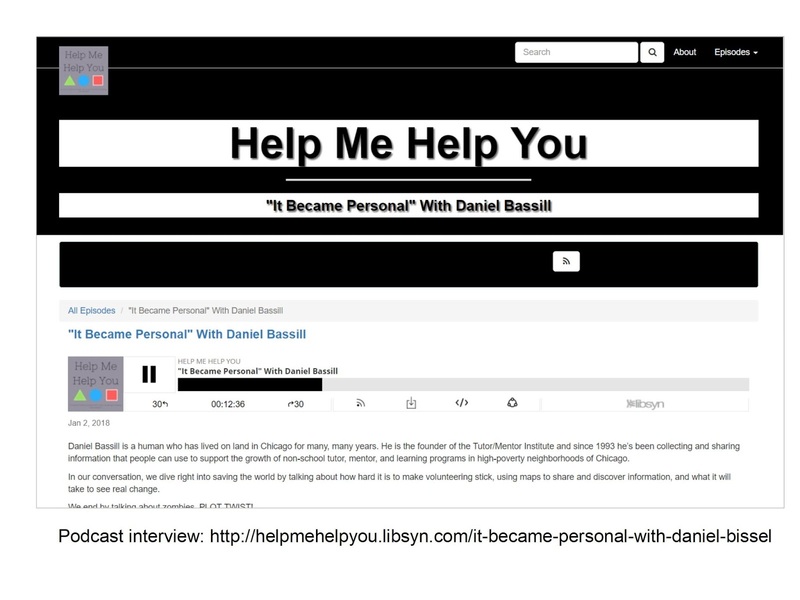 Then she interviewed me via Skype, and then created the podcast, which now shares my ideas with people in her own network. What makes this special is how Emily asks leading questions or helps create shared understanding of ideas I was sharing in the interview. It makes more sense to others because of the work she did. If you look at the graphic at the right, Emily and I are the two people to the left of the big circle. Her podcast is sharing ideas I've been putting on this blog and my web sites for more than 20 years. It's potentially going to reach many people who I don't know, and some of them my create their own blog or video to share it further. 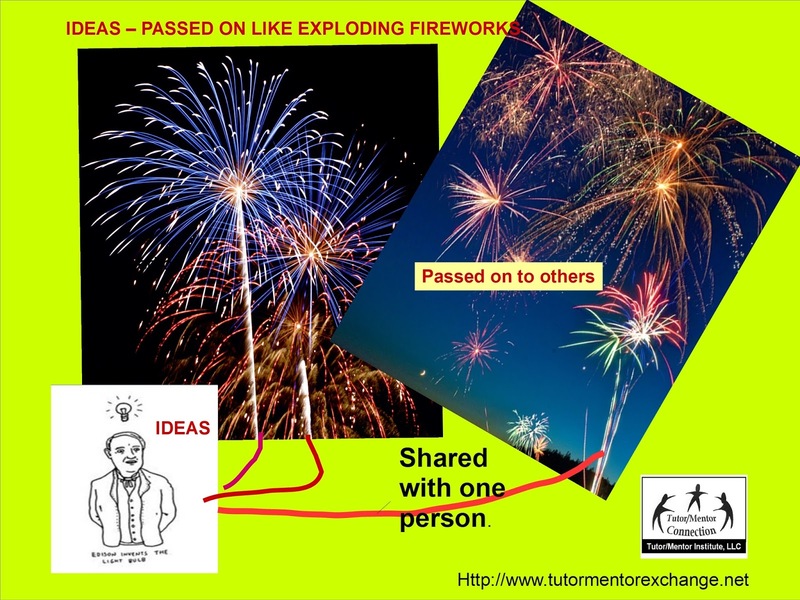 In the podcast I describe the graphic at the right, showing how an idea launched by one person can spread, through the efforts of others. I feel many can, and should, take this role, not just to support what I do, but to amplify and support the work that others are doing. I look forward to hearing from some who will listen to this in the coming moths. Maybe a few of those will go to this page and send some financial support to help me do this work in the coming year. It's a new year, with new hope and opportunities. Yet, the same problems that we faced last year, and in previous years, are still with us. 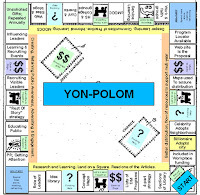 I created this graphic several years ago to illustrate the many different problems that people face, and the role of people like myself who try to draw people from different sectors into learning, networking, innovation and actions that try to solve one or more of these problems. 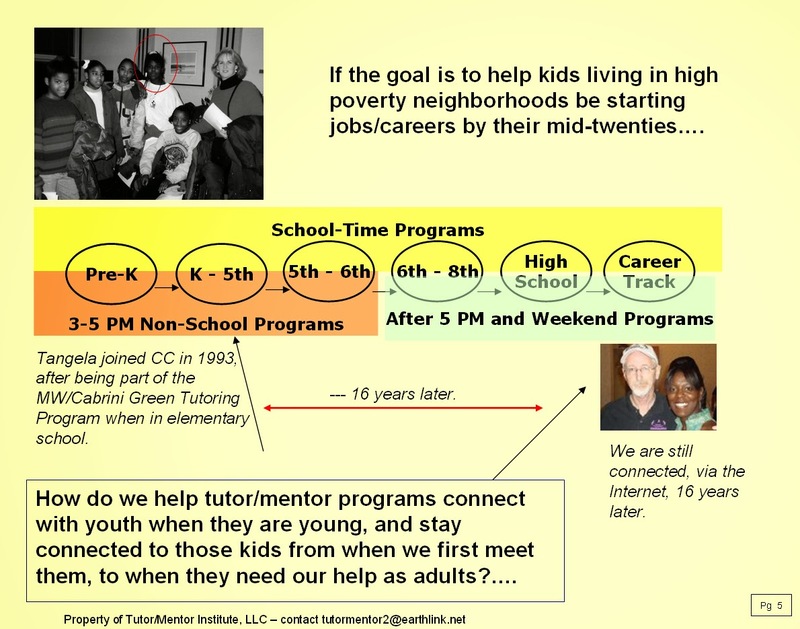 For more than 20 years the problem I've been trying to solve is filling high poverty neighborhoods with non-school, volunteer-based tutor, mentor and learning programs that help kids move through school and into adult lives. 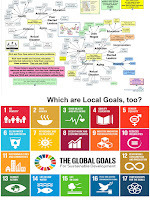 I've created dozens of visualizations to help communicate this idea, which you can find in this blog and my web site. Or do a Google search for "tutor mentor" and add one more word, like youth, or strategy, or mapping. 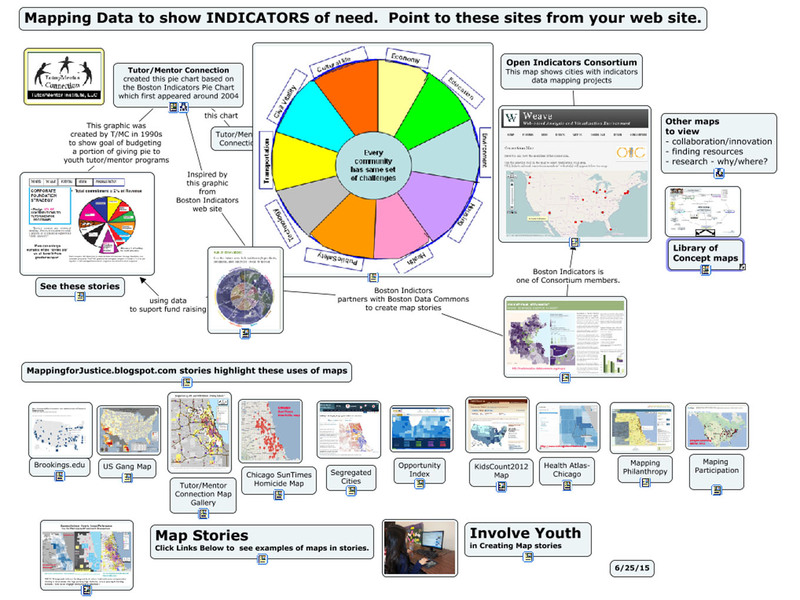 My web sites are often on the first page of the search (at least for me) and if you look at the images feature, you'll see many of my visualizations. 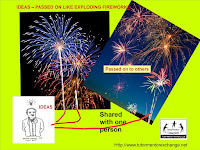 With each you can link to a story where that graphic was used. 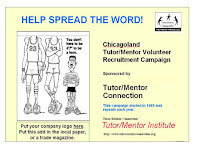 I've created a huge knowledge base that I keep adding to, which includes a list of non-school tutor and mentor programs operating in the Chicago region. 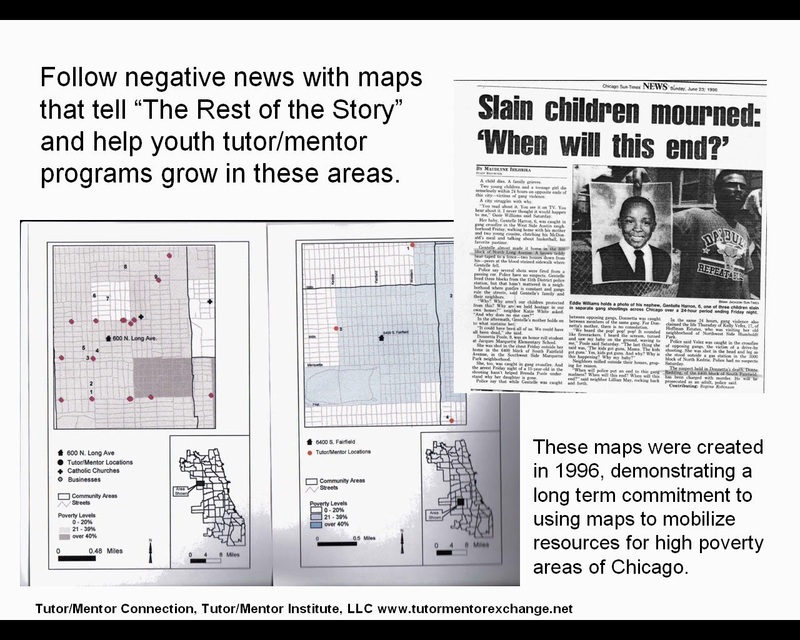 I show these on maps with the goal of helping people find programs to offer help or to get kids involved, and to show where more programs are needed. The big problem is attracting people to this information and helping them use it in their own efforts to solve the same problems I focus on, or on other problems which they care about. That would be a problem if I were a wealthy person, or a celebrity. I'm not. I'm just a person with a vision and a message and a library of other people's research and ideas. I've never had much money to do this. 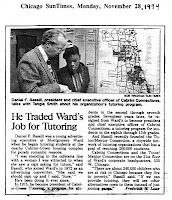 I and six other volunteers started the Cabrini Connections site-based tutor/mentor program in 1993 and spent that entire year researching and planning the Tutor/Mentor Connection, which we launched in January 1994. We had no money, nor deep pocketed friends, so we had to raise the money to pay salaries, rent, insurance and other expenses at the same time as we did the work. We started from zero every year and never knew for sure where the money was coming from. Since 2011 I've led the Tutor/Mentor Connection via the Tutor/Mentor Institute, LLC, and I've had even less money, so have kept this work going by drawing down my own savings. That's a recipe for disaster. What motivates me is the daily reminders of how much kids living in high poverty areas need an expanded network of support and the understanding that "almost anyone can help". That means that today, or on any other day, someone who might help me do this work is looking for information and will find my web sites. That someone could be a Bill Gates type, or a Jeff Bezos, or someone I've never heard of. They could take time to learn what I've been trying to do, and reach out to say "I will help you with my time, talent, and my money." 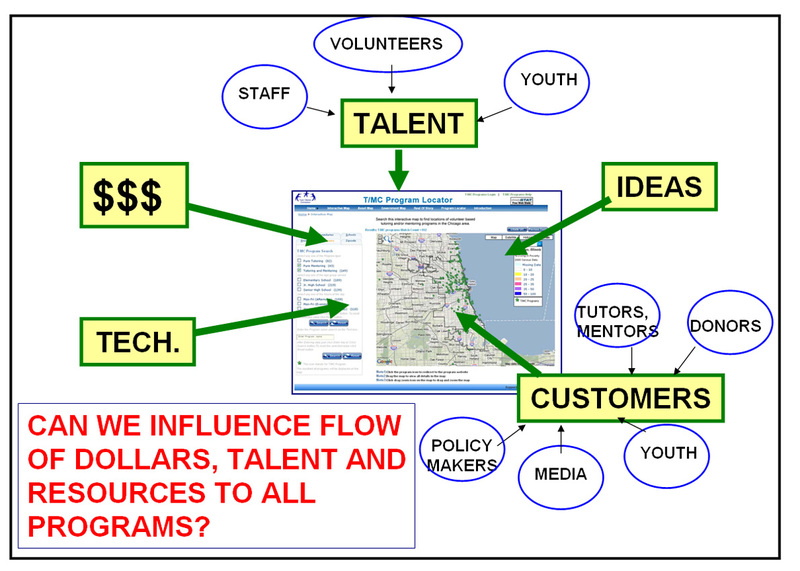 While I need help to continue to do the work I do to connect people to information in my web library and to organizations in Chicago and other cities who work directly with youth, the graphic below illustrates how such help is needed in thousands of places. I've been writing this blog since 2005, so there are a lot of stories. 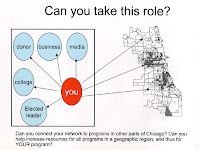 I invite you to browse through these over the coming year and if what I do is important to you, reach out and connect with me on Twitter, Facebook or LinkedIN, and help me draw attention to the resources in my web library and the youth serving organizations already operating in Chicago and other cities. 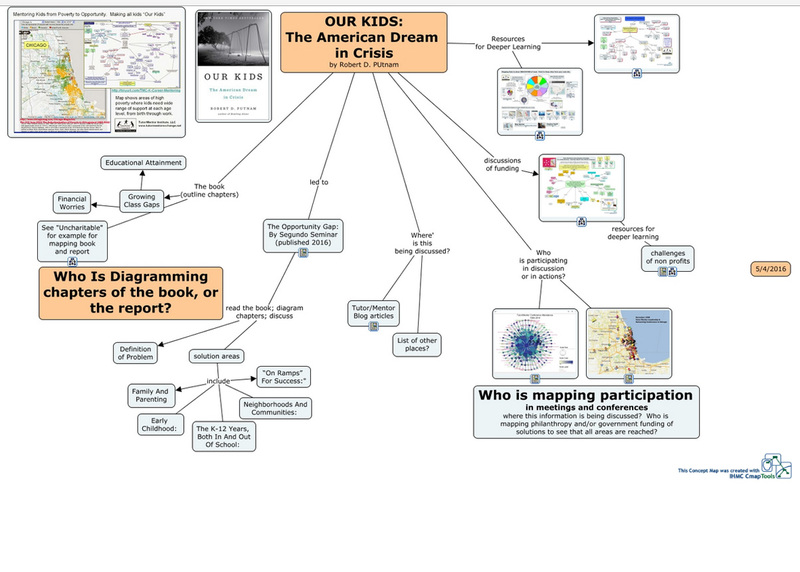 Help me draw people into conversations that start with a map, and a "how do we fill all of these areas with needed programs?" question. Or help me find places where others already are leading that conversation and where I'd be welcome.....even as a paid consultant! If you want to invest, or take a role and carry this forward into the future, let's connect. Or, visit this page and send me a contribution to help me keep doing this.